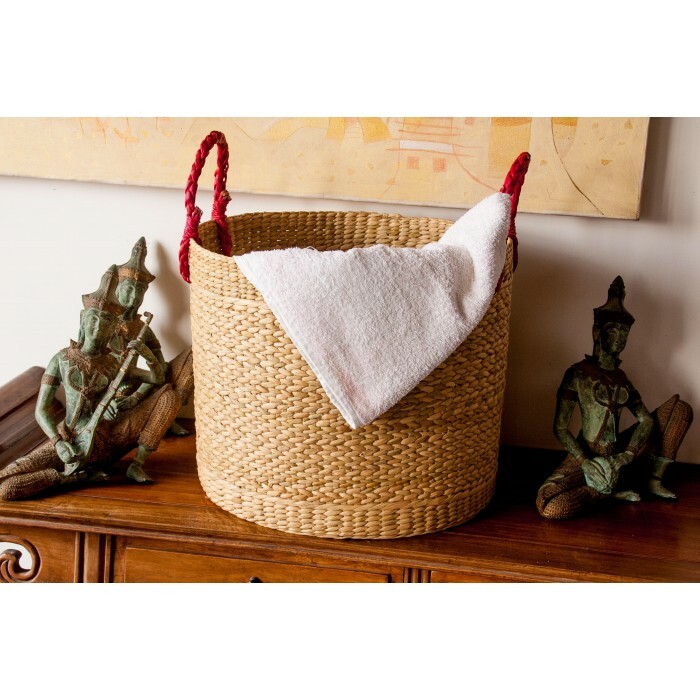 Dried ropes of sabai grass are very tightly woven to make this basket very sturdy. The basket alo..
.Kauna is the local name for a reed or rush which is cultivated in the wetlands. It has a cylindrica.. This product from rista handicrafts is a rectangle Bag made of Sabai Grass.The finely woven ropes of.. The most comfortable and stylish bag made from banana fibre especially designed for beaches..Pr..
Used for planters, storage and even as bins. The weaving is amazing, very stready and thic.. Finely woven floral mat, can be used on dining tables or to place various objects on it. Color :&..
.Kauna is the local name for a reed or rush which is cultivated in the wetlands. It has a cylindrical, soft and spongy stem which is woven into mats,cushions and mattresses.This basket is light weight woven with kauna grass into a laundary basket.Can be used for soil clothes.Very sturdy.The light weight and colourful handle attracts the users.Trendy,Washable and less maintenance required.